Major junior coaches demand a lot of their players and three teams delivered in a big way with championship seasons. They’ll now join the host Windsor Spitfires at this year’s Memorial Cup, where it’s up to the coaches to guide the way as everyone gives an extra push towards national glory. 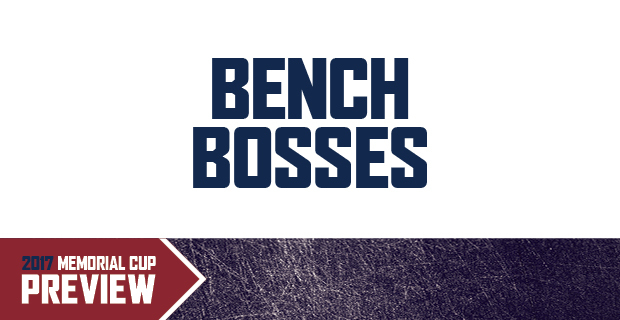 Here are the four men who will be behind the benches from May 19 to 28. A former Calgary Flames draft pick who spent parts of 11 seasons in the NHL and AHL, Thompson enters the Memorial Cup with just two years of experience as a head coach. He was appointed coach of the Spitfires after Bob Boughner, the conductor on Windsor’s back-to-back Memorial Cup championship squads in 2009 and 2010, accepted an assistant coach position with the San Jose Sharks. Since Thompson took over, the Spitfires have posted back-to-back 40-win seasons and finished second in the OHL West Division both years. He has yet to lead his team past the first round of the playoffs. They fell in five games to the Kitchener Rangers in the first round last year. This season, they had a 3-1 series lead before the 2016 Memorial Cup champion London Knights rallied with three straight wins to take the series. 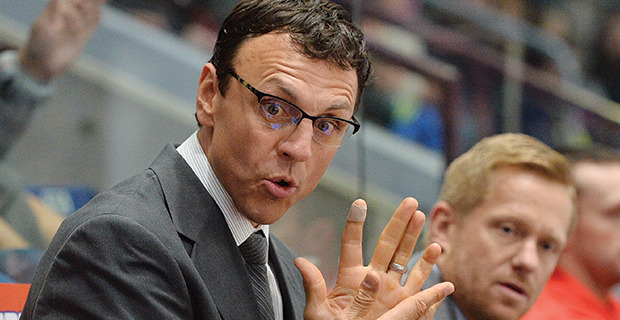 Prior to his move to Windsor, Thompson spent the 2014-15 season as an assistant coach with the Edmonton Oilers. The Calgary native was also an assistant with the Oklahoma City Barons for four seasons and with the Edmonton Oil Kings for three. The veteran bench boss will return to the Memorial Cup for the first time since guiding the Moncton Wildcats to the 2010 tourney in Brandon, Man. Like Thompson, he’s in his second year of coaching his current team. 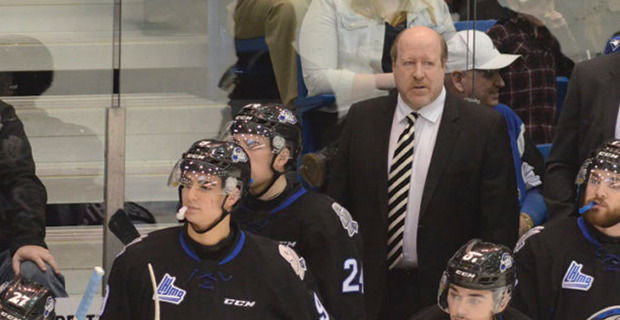 In that time, the Sea Dogs reached the QMJHL semifinals in year one, followed by a championship season, Saint John’s third in the last seven years. The Sea Dogs aren’t far removed from their last Memorial Cup title either, having won in 2011 thanks in part to the leadership of MVP Jonathan Huberdeau. A year before that, Flynn accompanied the Wildcats to the Memorial Cup and went home empty handed with three losses in as many round robin games. The Dartmouth, Nova Scotia native does have one Memorial Cup ring to show for his efforts, having been an assistant coach and assistant general manager with the Sault Ste. Marie Greyhounds during their championship run in 1993. He also won a Canadian university championship with St. Francis Xavier in 2004 and was named QMJHL coach of the year in 2009. After 13 seasons in the NHL playing for the Washington Capitals and Colorado Avalanche, Konowalchuk decided to test the NHL coaching waters for two years as an assistant with the Avalanche before joining Seattle. In six seasons with the Thunderbirds, its been a steady climb to the top. They were one of the worst teams in the league in year one, but that allowed them to select Mathew Barzal with the first overall pick in the 2012 WHL bantam draft. The New York Islanders prospect is a two-time member of Canada’s World Junior team and was named playoff MVP after the Thunderbirds defeated the top-ranked Regina Pats in the final to reach the Memorial Cup. Konowalchuk, a native of Salt Lake City, Utah, has guided the Thunderbirds to a record of 219-176-37 over the last six years. Included in that stretch are three 40-win seasons between 2013 and 2017. This year, they won 46 games (the most in Konowalchuk’s tenure) coming off an appearance in the 2015-16 final, where they were eliminated by the Brandon Wheat Kings. This will be Seattle’s second appearance at the Memorial Cup. Their first came in 1992 when the event was hosted in Seattle and the Kamloops Blazers won their first (of three) championships. The youngest of the four coaches in this tournament, Knoblauch still brings a lot of playoff coaching experience. As a rookie head coach, the native of Imperial, Saskatchewan guided the Kootenay Ice to the 2011 WHL championship and the Memorial Cup semifinal that year as a 32-year-old. He’s back among the final four teams in the country, looking to lead the Otters to their first ever Memorial Cup. 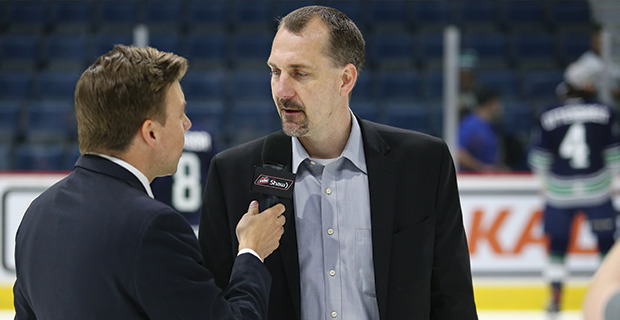 Knoblauch was hired by Erie midway through the 2012-13 season, Connor McDavid’s rookie year. He’s watched McDavid grow into a superstar, a label he carries now as captain of the Edmonton Oilers. Since Knoblauch joined the team, the Otters have made it to the OHL Western Conference finals twice and the 2015 OHL final before capturing the championship this year. In those four years, the Otters made CHL history by becoming the only team ever to string together four straight 50-win seasons. 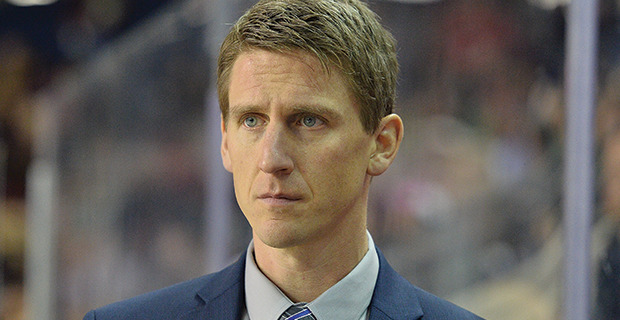 Knoblauch was named OHL coach of the year last season after Erie won its first of back-to-back Hamilton Spectator Trophies as regular season champions. He was an assistant coach on Canada’s World Junior team and his services have been retained for next year’s event.